This is another one of the products from my #bootscamp goody bag (details here). I have to admit that I’m totally confused by this product and I’m not entirely sure what it’s actually trying to be! 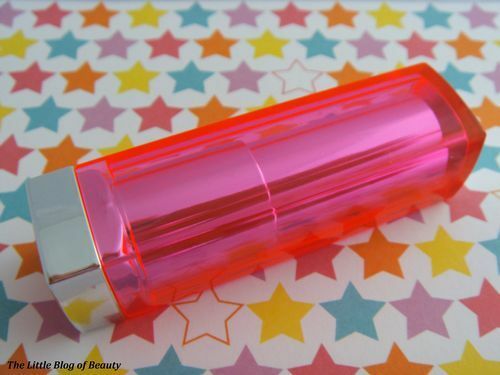 This has gorgeous neon pink packaging which has a kind of flourescent effect to it and has a silver reflective reflect section on the top end that can be used as a (albeit very small) mirror. When you open this up you’re greated by an amazing neon pink shimmery bullet which the picture above doesn’t do justice to. This also smells absolutely incredible with a gorgeous fruity scent. However, athestics aside, you may have noticed that I haven’t included any kind of swatch for this product and the reason for this is that it would be completely pointless. When applied (on my hand or on my lips) I can’t even see it by eye, so there’s no way I’d be able to get my camera to show anything. The shade I have (Pink Lollipop) is obviously very light but there are darker shades available so some of these may show up better. 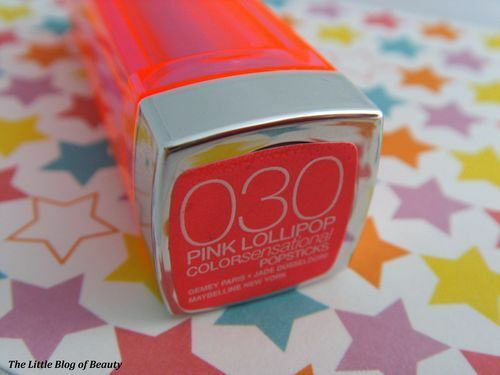 However, this is definitely not a lipstick; it’s much closer to a traditional stick lip balm. This does feel nice when applied, but I wouldn’t say there is any noticable shine, in fact it doesn’t look like I’ve applied anything to my lips at all. I love the funky packaging and bullet (and the amazing smell), but these are the only things that are colorsensational about this product (obviously not the smell). 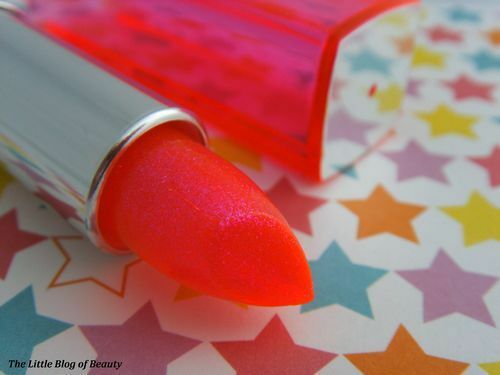 There’s no way of using this as a lipstick and I think in the future I’ll just be using this as a balm or maybe as a base for other lipsticks.